Location Location Location! 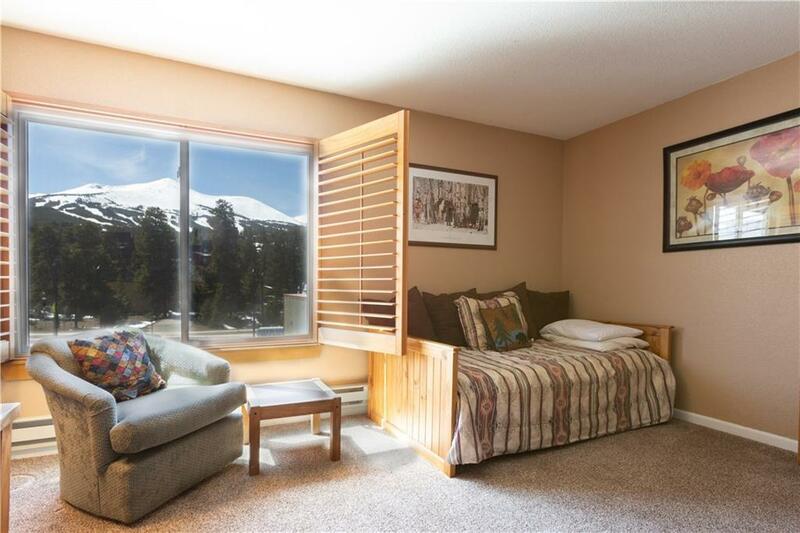 Check out this large 1BR ski-in a stoneâs throw from town center. This rare opportunity wonât last long. Investment potential, weekend getaway or primary home, this one has it all. It is in the heart of downtown Breckenridge at the base of 4 O'clock run. It faces up towards the mountains with views of the ski runs. Two summer symphonies reside right next door. Enjoy the adjacent Blue River and River Walk Plaza. Ride bus or walk to shops, restaurants, bars or skiing. Driving Directions: Traveling South On Hwy 9 Through Breck, At 4 O'clock Rd. Go Around Round-About, To End Up Headed North. Blazing Sadlles Is Your First Right, The Grey, Building, Home Of Lone Star Sports.